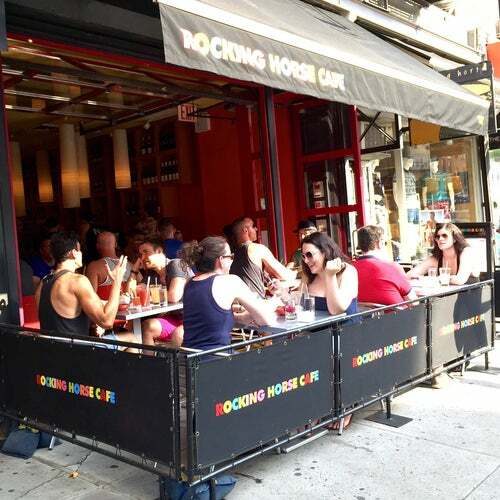 Rocking Horse Cafe is a uniquely elegant voice of New York with a warm Mexican accent and offers serious food in a casual environment. Designed to evoke the spirit of Rocking Horse's contemporary menu, the restaurant's modern sleekness and bold blocks of color are warmed by Mexican-inspired works of art. Delightful innovative dishes as well as contemporary treatments of the classics are the basis for the pre-Columbian inspired menu.